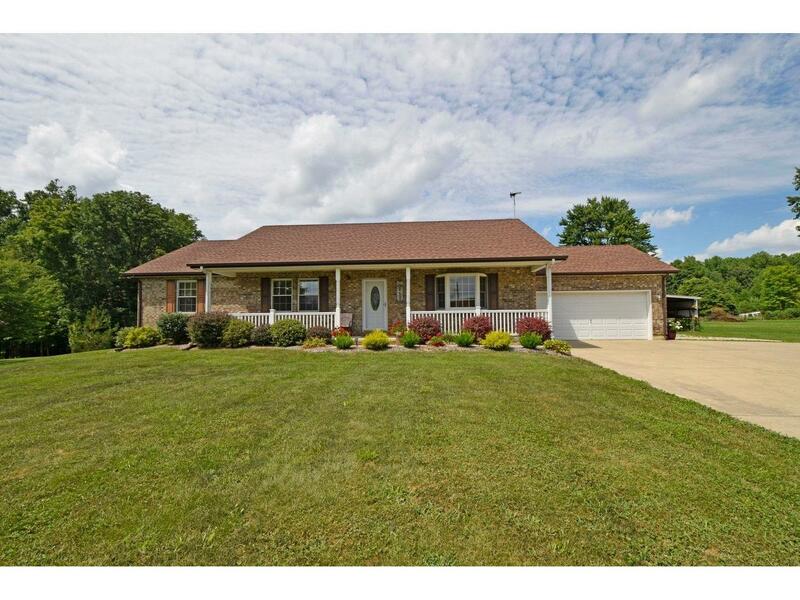 Well-maintained full brick 3 BR, 2 full BA ranch! Hdwd flrs, kit w/granite countertops, custom cab & pantry. Kit opens to dining area w/w-o to cov'd 12x16 deck! 5.29 acres w/woods, pond & pasture. Full fin LL w/FP. Breezeway to in-law suite or income-producing apt: full kit, laund rm, ADA bath & 1 lrg BR + sep entrance! Appl stay. 30x32 pole barn. NOTE: This property was sold on 9/12/2016 and is no longer available. The details listed below are believed accurate to the date of the sale and are subject to change.